The juggle of parenting and getting things done. It's not easy. I'm usually dashing around from one place to the next. Many times my son tags along. But sometimes I can't (or don't want to) bring my son with me. As a blogger, many times I need to cover a media event, interview or a press junket. For those times I need to use childcare. Note: Sponsored through the Beyond PR Group. I received promo code for Chime by Sittercity for review purpose. However, any personal views expressed are always 100% my own. But finding the right type of childcare for my lifestyle isn't easy since I usually need childcare for just a few hours, on the weekends or early in the morning. 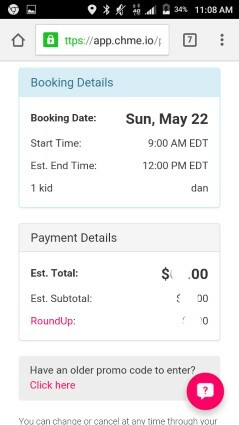 While not every childcare service can fit my requirements, Chime by Sittercity, a new on-demand service and app for finding, scheduling and paying for childcare, said they were up to the task. 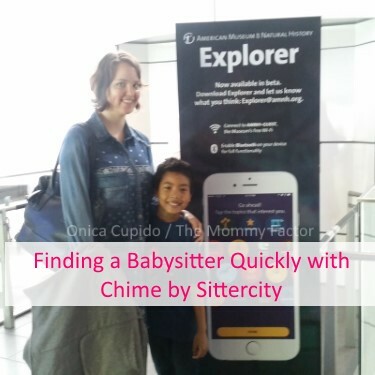 Wondering how Chime works for finding a great sitter? After downloading the Chime app, I posted a "booking" request for the day and time I needed, which was surprising easy. 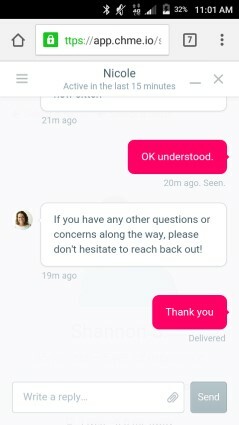 Then sitters replied to my "booking" since they were available. From there I could check out each sitters profile, qualifications, rating from other parents and video interviews. 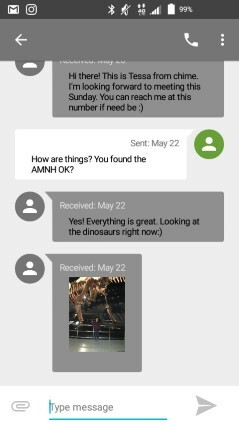 Within minutes of selecting a sitter from the site and exchanging contact info, she texted me a message about working together. How nice right? The morning of our meeting, my sitter showed up early and ready to work! I suggested they go to the museum and the sitter said no problem. And off they went! While on a break during my media event, I texted the sitter to see how things were going. She texted back. With a photo! I have to tell you, I REALLY appreciated that extra info on her part. It helped me feel secure as a mom that my son was in good hands while I was at "work". After my event was over, I texted the sitter to meet for the exchange. LOL. When we met she gave me a quick run down of what they did and how my son was. Nice and easy! Wondering what other features the Chime App has? 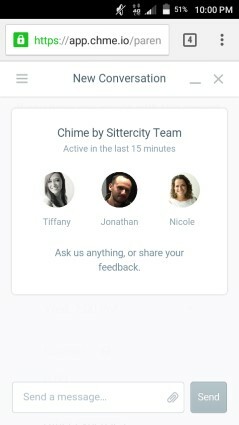 If I had any questions or concerns, I could chat live with a Chime by Sittercity team member. I actually did and found them quick to reply and answer my questions. I think that's a pretty cool feature of the Chime app. After the end of my childcare session, paying for the service was also quick and easy. I confirmed date, time of service and done! All through the app. Chime by Sittercity is really a great service to find, book and pay a sitter in your area. Each handpicked "sitter" goes through a vetting process, which includes an application, in-person interview, enhanced background check, identity verification and a social media screening. There are no subscription fees and the service is completely commitment-free. Flat, friendly pricing is set by the hour and varies by city. Chime is now available in the IOS App Store for New York City, Chicago, Boston and Washington D.C., with other major metro areas to launch in coming months. 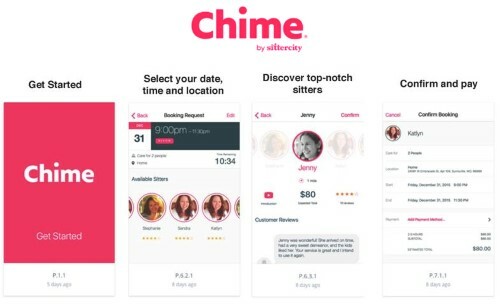 If your like to try out Chime by Sittercity, use my promo code: MOMMYFACTOR and receive your first day or night of babysitting free (up to $50, covers about 3 hours). Offer expires August 31, 2016.